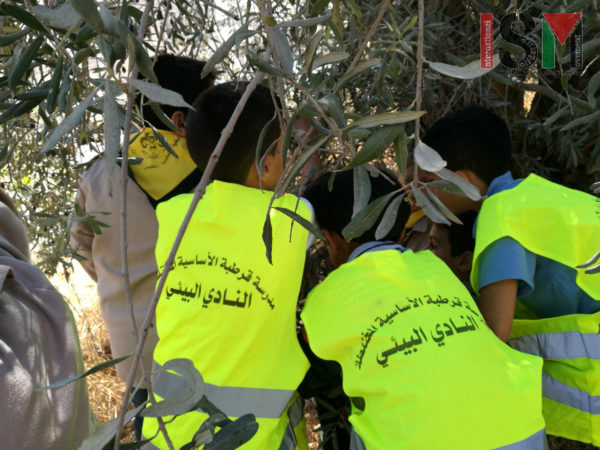 On Monday morning, infamous Israeli settler Anat Cohen attacked a group of school-children harvesting olives near their school in occupied al-Khalil (Hebron). She then ordered the soldier to not only evict the students and teachers from the area, but assist in her attack. 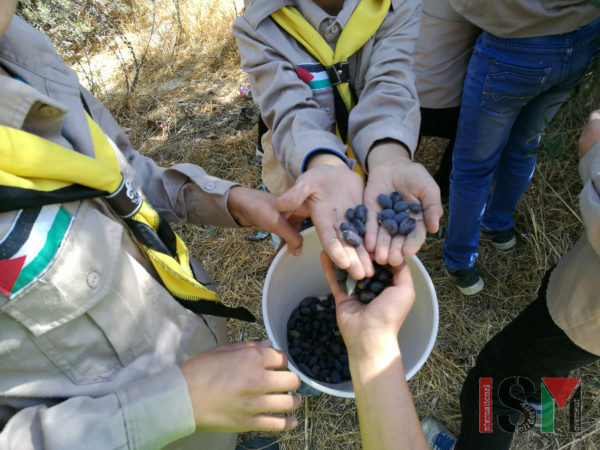 A group of scout students was helping Palestinian families, picking olives for them next to the Qurtuba school on Shuhada Street. Immediately after the group started picking the olives, a soldier from the nearby Daboya checkpoint came to order them not to pass the fence when harvesting, but allowing them to harvest the olives, as long as they don’t cross the fence. Only a short time after, he came back, this time with infamous settler Anat Cohen. Anat Cohen has at many times attacked the school-students, teachers and families in this area, always with complete impunity. She makes no difference between elderly, children, men or women, and deliberately attacks Palestinians for the sole fact of them being Palestinians, and also internationals supporting them. She is well-known for those vicious attacks and insults, many of which were caught on camera. Despite this video-evidence, she is always showered with the unwavering protection and support from the Israeli soldiers and civil police, and thus enjoys complete impunity for her crimes. As the soldier came back together with Anat Cohen, he suddenly ordered the students and teachers to stop harvesting immediately – orders that obviously came straight from Anat Cohen, who was standing right behind him. This is just another example of soldiers acting directly on the orders of the settlers from the illegal settlements, without any interest at all for the law or human rights. Even when Anat pushed a teacher, the soldier refused to intervene or arrest her, and instead threatened to arrest the teacher. The teachers tried to reason with the soldier, telling him that he allowed them to harvest before, and now clearly takes his orders from Anat, and assured him that they would leave if he has an official order stating that the harvest in this area is not allowed. As a reply, the soldier that communicated just fine in English before, suddenly stated that he does not speak any English. The soldier proceeded to grab, push and pull students himself, all the while Anat was cursing and harassing the group. He then pulled a student, that was held up to reach the olives by the director of Qurtuba school, almost causing him to fall down from great height. This is just another in a string of attacks of Anat, for which she never has to feel any consequences. This impunity provided for by the Israeli army and civil police only emboldens her in her vicious attacks. The collaboration between the Israeli forces and settlers, together against the Palestinian civilian population of the area is obviously geared towards the ehtnic cleansing of this area, in order to instead create a ‘sterile’ continous illegal settlement.